This week is spring break. Which means that I’m going to get exactly nothing done in an attempt to keep these four monkeys out of trouble. And since Tad has a burning desire for a “relaxing vacation,” it also means that I must keep them entertained. The boys, anyway. Ane has her own set of plans. 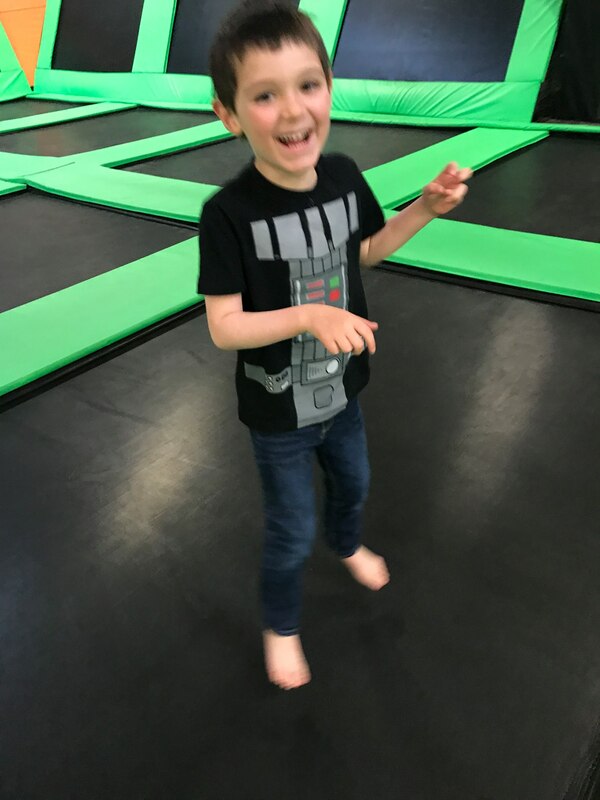 So, on Monday, Tad had the night off art class – but our favorite trampoline spot was open for special needs night. Ane was spending the night with her friends, so the Webmaster and I took the boys. Since the environment is contained and casual, we can pretty much trust the older boys to behave with minimal monitoring. Thumper, who always needs someone with eyes on him or full containment, spent the evening as a giant blur. On Tuesday, I took all four kids to the zoo. 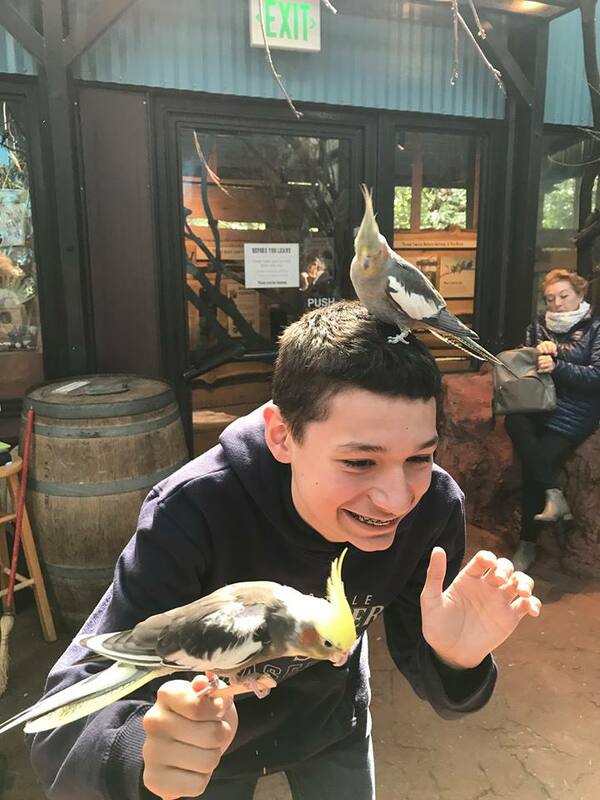 The highlight of this trip was going to feed the birds at Willawong Station – cockateils, parrots, and budgies all live there. Rerun is very into birds (a side effect of his Angry Bird fandom). However, Ane decided that birds are not her thing, and then this happened to Tad. At which point Ane was all “HECK NO” and wanted out. Rerun was being too silly, and Thumper wanted to pet birds (also a no-no), so while it wasn’t a disaster, it was definitely stressful – though full points to Tad for not freaking out when he had a bird on his head. We finally ended the day on the carousel, and then Tad and Thumper had their regular ABA session. Now I have to think of more things to do…. 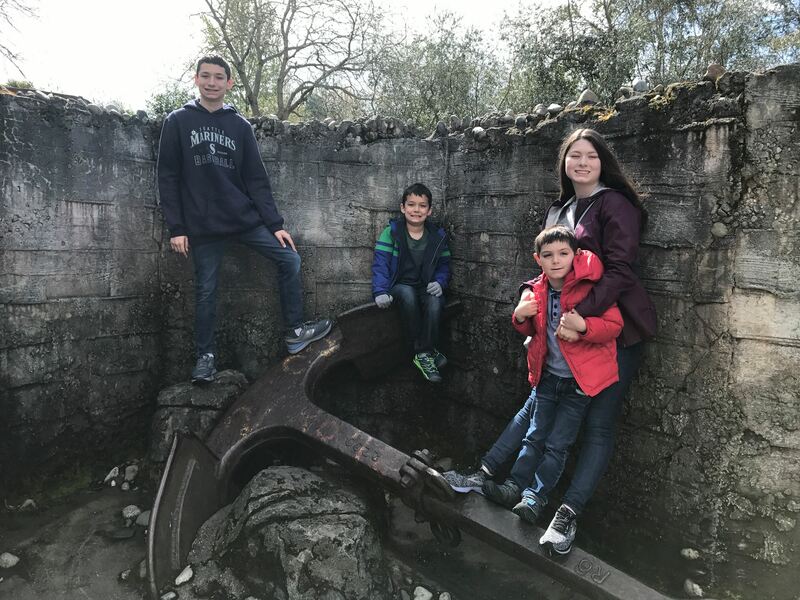 This entry was posted on Tuesday, April 9th, 2019 at 11:43 pm	and is filed under Children, Life in the Pacific Northwest, Vacation Tales.